Paramount Home Media Distribution opens its 2015 home entertainment release campaign with one of the sure-to-be Best Picture candidates from writer/director Richard Linklater. 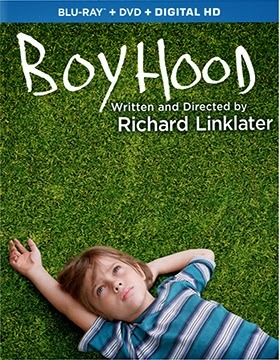 Boyhood, which is certain to earn Linklater his third Oscar nomination for Best Writing (2004, Before Sunset; 2013 Before Midnight), will be available as both DVD and Blu-ray/DVD Combo Pack (with UltraViolet) product offerings on Jan. 6, 2015. The nominations will be announced on Jan. 16 … so the timing is absolutely spot-on. The ARR is a leisurely 179 days, which makes absolutely no difference because the ultimate success of Boyhood (financially-speaking) will be driven by the Oscar nominations that it is likely to receive. There was no reason to rush this film home. The box office tally currently stands at $23.6 million, which has been driven largely driven by word of mouth. This will change dramatically as we move into the Oscar season … even with the availability of DVD and Blu-ray editions for home viewing. This indie — and it had to be an indie film production for obvious reasons — is one of the boldest attempts at a non-documentary dramatic film production that one can remember. The story takes place over a 12-year period, with the same actors, but it is not a documentary like the Up film series begun by filmmaker Paul Almond (and joined by Michael Apted) back in 1964 … that series, produced every seven years, tracks the lives of a group of British school children as they’ve grown over the years to become adults (it is fascinating in its own right). 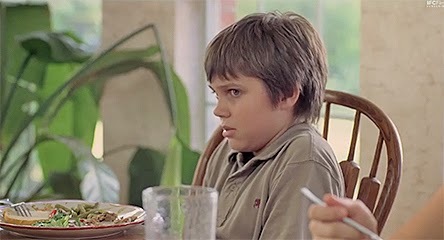 The protagonist here is Mason (played by Ellar Coltrane – aka: Ellar Salmon), whom we first meet at age six in 2002. Seriously, 2002 is when the filming commenced … this is not some sort of a CGI-gimmick, the actor is actually a six-year old kid. We will follow him — through jumps in time periods — as he grows (and matures) from a child to a young man of 18. It is through his eyes, and growth, that the story of his childhood unfolds. Mason’s mother is played by Patricia Arquette (Olivia) … and she too ages like any adult would over a 12-year period. During the course of the filming of Boyhood she appeared in six additional feature films and was active in not one, but two major television series — Medium and Broadwalk Empire. 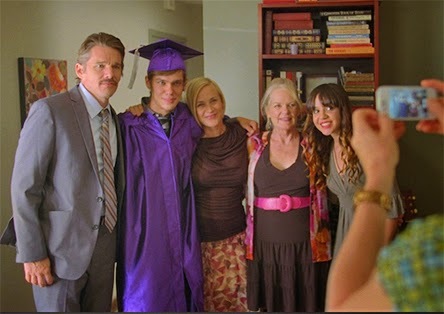 The same holds true for Mason’s father, also named Mason (played by Ethan Hawke — he has worked with Linklater on an on-going basis since 1995), and his sister Samantha (Lorelei Linklater), while the other actors in the production came and went over the years depending on the roles they played … lovers, new friends, school mates, new husband, new wife, etc. Much like life itself, people come and go. Bonus features are limited to the Blu-ray SKU and these consist of a featurette titled “The 12 Year Project” and question and answer session with filmmaker Richard Linklater and members of the cast. Also heading to the home entertainment market place during early January are two TV-on-DVD series that are getting full season updates. 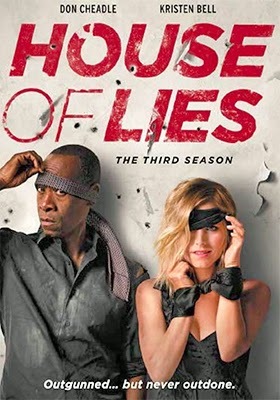 Don Cheadele (as Marty Kaan) and his “consultants” are back for more deal-closings on Jan. 13 with the double-disc release of House of Lies: Season Three. On same street-date Tuesday (Jan. 13), Episodes: The Third Season (also a double-disc set) — starring Matt LeBlanc — will be available at retail for fans to enjoy. What a sweet “little” film (and little in a very positive manner) Cinema Libre has lined up for a domestic DVD release on Dec. 9. It is titled The Little Bedroom. The filmmaking team of Stéphanie Chuat and Véronique Reymond teamed Michel Bouguet as Edmond (Renoir, Toto the Hero, etc. 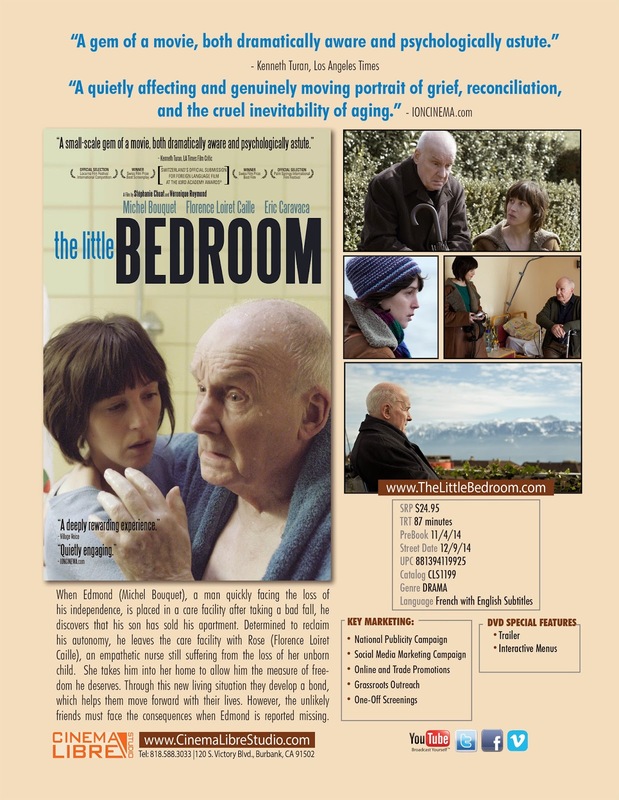 ), an octogenarian with declining health who struggles on a daily basis to hold onto what little freedom he has left, with Florence Loiret Caille as Rose (Le Petite Chambre, Berlin Backstage, etc. ), a caregiver who has a sudden life-crisis of her own … and the result is screen magic. Rose makes the rounds, checking in on the “old” people to see how they are doing. They are just patients, nothing special. Edmond is one of those patients … he’s trying to keep one step ahead of being put in a home by his son (Joël Delsaut), who means well, but would like get on with his life. It is just the nature of things. When Rose loses her unborn child, she grows distant from her husband (Eric Caravaca), who also wants to get on with things … he has opportunities and now, suddenly, she is standing in the way. That too is just the nature of a changing relationship. When Edmond has an accident, it is Rose who comes to his aid, and instead of him being confined to a home she has him move in with her. Two people connecting, both — as it turns out — needing each other. Yes. Edmond’s time is short (this will pass), but for now; for this moment this is what it is … a story of tenderness, caring and love. 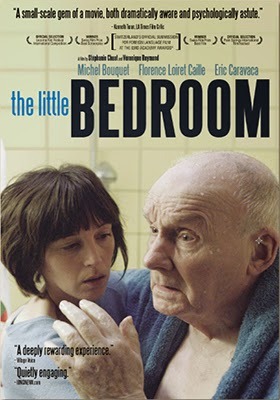 The Little Bedroom is indeed a sweet “little” film, but it packs one hell of an emotional wallop! The Film Detective goes Hi-Def on Nov. 25 with a trio of newly restored classic film selections making their debut on the Blu-ray format. 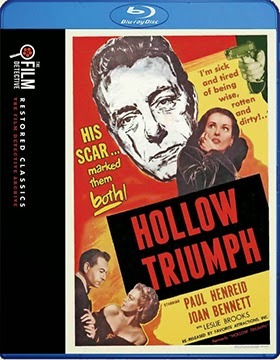 First up is director Steve Sekely’s 1948 film noir adaptation of the Murray Forbes novel, Hollow Triumph. Paul Henreid stars as a murderer on the run who hits upon the perfect hide-in-plain-sight identity … only to fall victim to his on cleverness. Joan Bennett co-stars. Humphrey Bogart joins Peter Lorre, Robert Morley, Jennifer Jones and Gina Lollobrigida in director John Huston’s conmen-conning-conmen comedy, Beat the Devil (the script was provided by none other than Truman Capote). And lastly, Herbert J. Biberman’s 1954 historical drama, Salt of the Earth — starring Will Geer — will be available for the first time as a newly-restored Blu-ray product offering. Eagle Rock Entertainment has selected Nov. 25 as the street date for a two-SKU DVD helping of a fully restored presentation of the 1980 concert, Bob Marley: Uprising Live! The two editions are a DVD-only option or a DVD/2 CD combo pack. 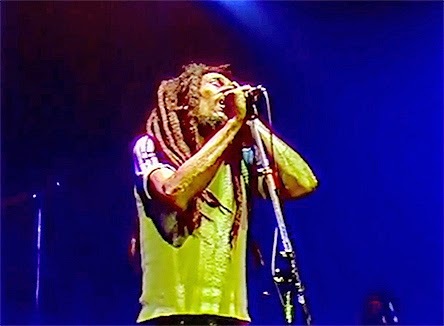 Recorded live at the Westfalenhalle in Dortmund, Germany for airing as part of the Rockpalast concert programming series for the WDR (German television), the footage has been given a new life under the supervision of Cedella Marley (daughter) and Ziggy Marley (son) and is now seen here for the first time in over 34 years. The concert opens with a four-song intro provided by Marley’s background singers, I Threes, which is comprised of his wife Rita Marley and recording artists Marcia Griffiths and Judy Mowatt (she would release her critically-praised “Black Woman” album the same year). 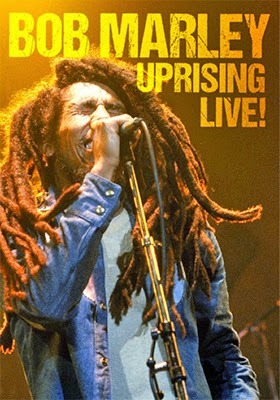 The main concert features a blend of Marley classics and new cuts from the just release album, “Uprising” (the tour was in support of that album and crisscrossed Europe from June through mid-July before jumping across the pond for a five-date set in the eastern part of the United States). Olive Films, noted for its arthouse and classic film DVD and Blu-ray product offerings has some news for TV-on-DVD series fans this November. Pick a street-date Tuesday during the month of November and you can count on Olive Films to serve up a fan-pleasing release (or two). 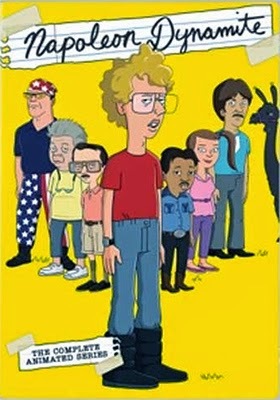 So let’s get right to it with the Nov. 4 DVD debut of Napoleon Dynamite: The Complete Animated Series (all six animated episodes featuring the voice talents of Jon Heder, Efran Ramirez (aka: Pedro), Tina Majorino (the lovely Deb), Diedrich Bader and Jon Gries. Also on Nov. 4 is the three-disc collection of Touch: The Complete Second Season, starring Kiefer Sutherland as Martin Bohm, a widower with a son who has a special gift. If you thought the first season was intense … you ain’t seen nothin’ yet! Nov. 11 brings us the double-disc DVD debut of Dads: The Complete Series, with teams Giovanni Ribisi, Seth Green, Martin Mull and Peter Reigert in a father-son, son-father comedy where the sons are not the troublemakers! Shifting to Nov. 18, Olive Films has the three-disc collection of the animated series, King of the Hill: The Complete 7th Season … and the month is capped-off by the Nov. 25 DVD release (a double-disc affair) of the sitcom, Better Off Ted: The Complete Second Season, starring Jay Harrington as Ted Crisp, the head of a small research department at the mega-corporation, Veridian Dynamics. Icarus Films has prepared a smart selection of eclectic films for delivery to the DVD market place during the late-October/November time frame. 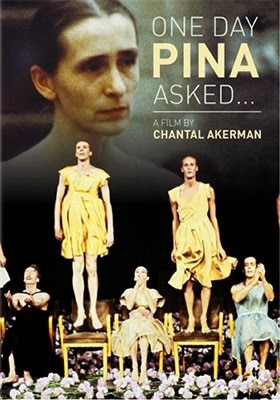 For anyone interested in dance or choreography this little-seen arthouse treasure will be a welcome sight on DVD. Presented in French with English subtitles. 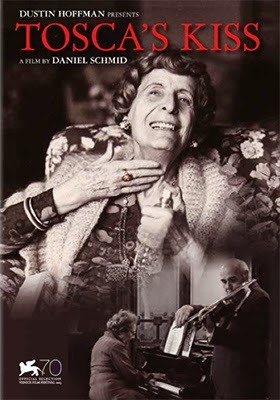 The same holds true for Swiss documentary filmmaker Daniel Schmid’s 1984 film, Tosca’s Kiss. This little gem was recently restored and re-released theatrically after being MIA for 30 years … and now it makes its way to DVD on Nov. 4 courtesy of Icarus Films. Back in 1896, famed composer Giuseppe Verdi envisioned a retirement home (an estate) for opera singers and musicians. Located in Milan, Casa di Riposo per Musicisti has served as sort of a gathering place for kindred souls who have devoted their lives to the arts. Schmid found this to be a fascinating subject … and indeed it was. Thirty years later Tosca’s Kiss remains both an insightful look at these “trade people,” their camaraderie and creative “juices” that continue to flow long after their careers upon the stage have faded into memories. Tosca’s Kiss is presented in Italian with English subtitles. 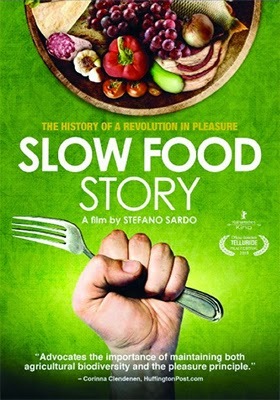 On Nov. 18, and also in Italian, is writer-turned-filmmaker Stefano Sardo’s look at the anti-fast food movement, Slow Food Story. The Luddite’s rebelled against the Industrial Revolution … it was a lost cause. But Carlo Petrini, the founder of the ArciGola Gastronomic Association (circa 1986) may be onto to something. With a Burger King, a McDonald’s, a KFC and a Taco Bell on nearly every corner, we’ve become addicted to “fast food.” And what has it got us? Slow Food Story is the antithesis … slow down, enjoy; each meal is to be savored. When Petrini learned that McDonald’s would be opening an eatery within in a stone’s throw of the Spanish Steps in Rome he knew that the invasion was at his doorstep. His rallying cry is embodied in his famous quote: “Why should an Eskimo eat the same food as an Ethiopian? What will happen to the neighborhood trattoria? Food is as important as language, why destroy our heritage?" The "Slow Food" revolt was born! Slow Food Story is presented in Italian with English subtitles. The Criterion Collection has unveiled its first release blitz for 2015 with the news this week of its DVD and Blu-ray selections for the month of January. 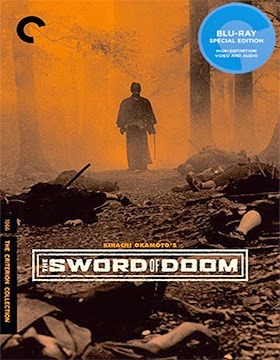 Kicking off the New Year on Jan. 6 will be a Blu-ray edition of Japanese filmmaker Kihachi Okamoto’s 1966 hunted/hated man samurai gem, The Sword of Doom. In a stunning departure from the Bushido code, Tsukue (Tatsuya Nakadai — Seppuku, Kagemusha, etc.) is a samurai-turned-assassin, who is an out-and-out psychopath. He has no honor and lives by his own code of lies, violence and betrayal … which marks him as man with many enemies. Bonus features here include commentary by author and film historian Stephen Prince (“The Warrior's Camera,” “Savage Cinema: Sam Peckinpah and the Rise of Ultraviolent Movies,” etc.). German auteur filmmaker Rainer Werner Fassbinder’s 1972 film adaptation of his own “envisioned” stage play, The Bitter Tears of Petra von Kant, will be getting a push with a new digital restoration from Criterion on Jan. 13 as both DVD and Blu-ray product offerings. 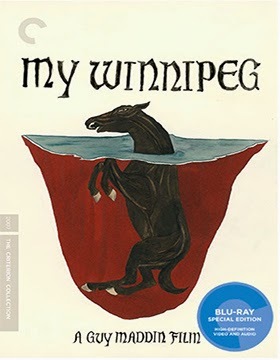 Jan. 20 brings the domestic DVD and Blu-ray debut of director Guy Maddin’s mock-documentary My Winnipeg to market. The ARR works out to 2,412 days for this 2008 theatrical release … domestic ticket sales back then were $156,629. The Criterion Collection has included three of Maddin’s short films with this release — Spanky: To the Pier and Back, Sinclair and Only Dream Things — a deleted scene and a one-on-one with Maddin and art critic Robert Enright. 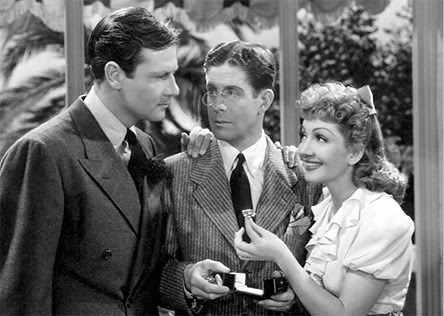 Also streeting on Jan. 20 are DVD and Blu-ray SKUs for director Preston Sturges’ 1942 screwball comedy, The Palm Beach Story, which teamed Joel McCrea and Claudette Colbert … and Claudette Colbert and Joel McCrea (if you have to ask, then you haven’t seen the film). Bonus goodies here include separate video interviews with film historian James Harvey and voice actor and producer Bill Hader, a 1943 radio presentation of the story and filmmaker Preston Sturges’ 1942 short film, Safeguarding Military Information. Lastly, Jan. 27 marks the arrival on Blu-ray of the Criterion Collection restoration of Argentine filmmaker Lucrecia Martel’s 2001 film, La Ciénaga. Previously released on DVD by Home Vision (long since out of print), Criterion will also be releasing on Jan. 27 a newly prepared DVD edition as well. 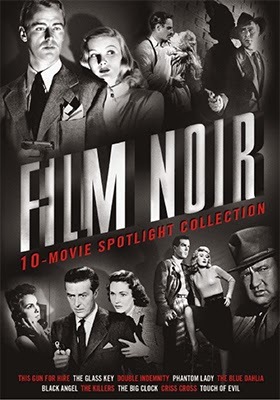 Universal Studios Home Entertainment will be releasing a ten-film, six-disc collection of classic film noir films on Nov. 4 titled The Film Noir 10-Movie Spotlight Collection. Films such as Touch of Evil (1958, Orson Welles, Charlton Heston and Janet Leigh) This Gun for Hire (1942, teaming Alan Ladd and Veronica Lake) Double Indemnity (1944, Fred MacMurray, Edward G. Robinson and Barbara Stanwyk) and Criss Cross have been available for some time as stand-alone product offerings, but three very important films to any collector’s film noir library have only been available previously as MODs. 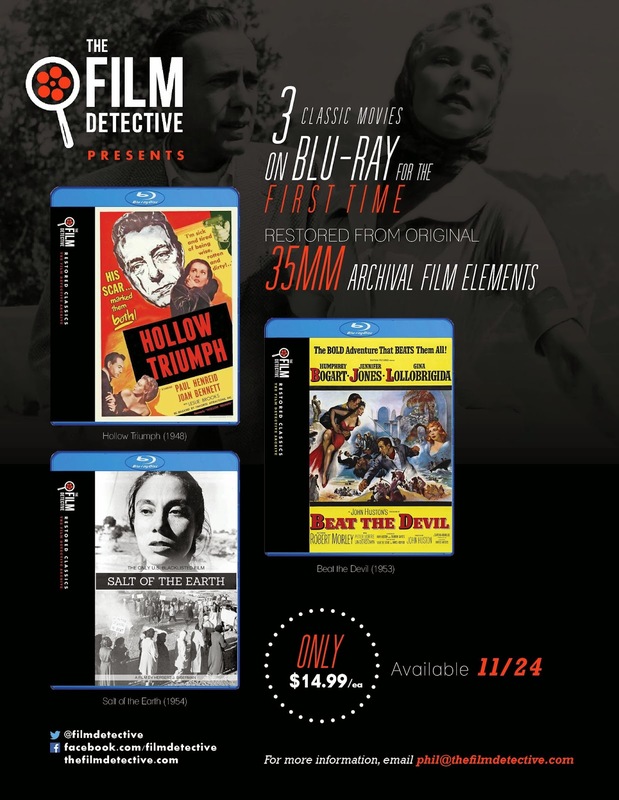 Two of these MODs-to-manufactured DVDs are the other two film noir thrillers that teamed Alan Ladd with Veronica Lake. 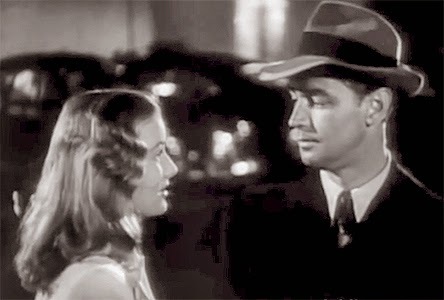 The first of which is director George Marshall’s 1946 film release of Raymond Chandler’s first mystery written directly for the screen, The Blue Dahlia (he received an Oscar nomination for Best Original Screenplay … losing out to The Seventh Veil — in retrospect that was a mistake, although you could argue that Ben Hecht’s Notorious split the votes with Chandler and The Seventh Veil slipped through). The second of these MODs-to-manufactured DVDs is director Stuart Heisler’s 1942 film adaptation of the Dashiell Hammett novel, The Glass Key. Talk about an all-star cast … in addition to Ladd and Lake, William Bendix, Bonita Granville, Brian Donlevy, Richard Denning, Frances Gifford and Joseph Calleia appeared in this tale of corruption, murder and double-dealing. The third MOD getting an upgrade is director Robert Siodmak’s 1944 film release of Phantom Lady, which stars Ella Raines, Alan Curtis and Franchot Tone. The complete list of films include in this six-disc set are: This Gun for Hire, The Glass Key, Double Indemnity, Phantom Lady, The Blue Dahlia, Black Angel, The Killers, The Big Clock, Criss Cross and Touch of Evil. HBO Home Entertainment has one of the cleverest cable series lined up for delivery on both Blu-ray and DVD sets this coming Dec. 30 … just in time for some New Year’s holiday viewing (if you are otherwise not engaged in college bowl mania). 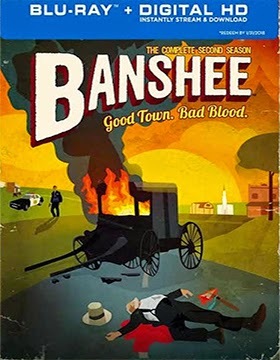 The series in question is Banshee: The Complete Second Season, starring Antony Starr as Lucas Hood, an ex-con who has assumed the identity of a dead lawman in a “tiger-by-the-tail” plot line that demands that he keep the deception going for both his personal survival and the well-being of the town’s people who have come to depend on him. It is devilishly wicked in its twists and turns!!! Banshee: The Complete Second Season arrives as both ten-episode DVD and Blu-ray collections spread over four-discs (the Blu-ray SKU features UltraViolet), with the featurette titled “Inside the Title Sequence: Uncover” and “Twitter” commentary with members of the cast and production crew as bonus goodies. Exclusive to the Blu-ray SKU are the featurette, “Banshee Origins,” deleted scenes and episode commentary. Film Movement has tabbed Nov. 11 for the DVD debut of writer/director Iram Haq’s I Am Yours. Mina (Amrita Acharia, perhaps best know to American audiences as Irri from the Game of Thrones television series … also as Reidun in Well Go USA’s upcoming DVD and Blu-ray debut of Dead Snow: Red vs. Dead) is by any standard an attractive young woman. But, as things in her life have transpired, she finds herself with two strikes against her (and she’s not even 30 yet) … she’s a single mom with a six-year old son and she’s an ethnic Pakistani living in Oslo, Norway. She’d like to distance herself from the “traditional” ways that her parents would impose upon her, but those efforts — which are, quite frankly, too far in the other direction — have simply led to a whole series of bad decisions. How do you win; how do you have a life that is fulfilling when you don’t fit in and efforts made to do so only make it worse? I Am Yours is certainly worth a look … critics have been kind, the film festival circuit has been rewarding and with the film now being made available to the domestic home entertainment market it could attract the following that it deserves. Presented in Norwegian (with some Urdu and Swedish) with English subtitles.